Here in Morzine, the seasons are slowly changing. We are no longer ‘glowing’ the minute we step out the house or contemplating throwing ourselves off the suspension bridge into the outdoor pool. Autumn is on route and we’re excited about it! 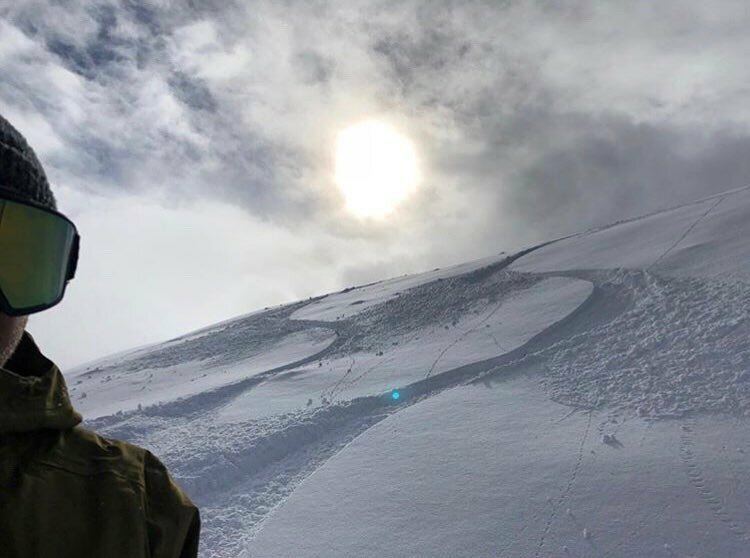 Last winter, we had an unbelievable amount of snow, some say it was the winter ‘that kept on giving’, and from what we can see winter 18/19 is going to produce the goods again. 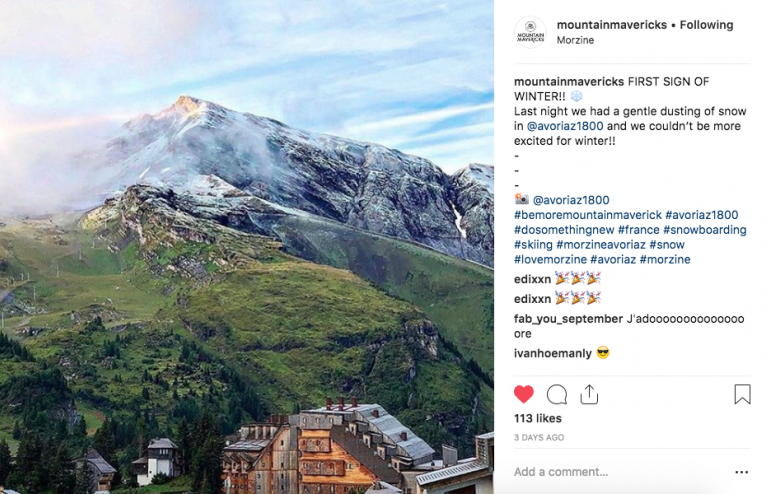 Winter enthusiasts in town got excited over the weekend as the temperatures dropped so much, it snowed in Avoriaz over night! If you haven’t thought about it yet, now is the time to look forward to your next winter holiday and the festive season is the perfect time to visit Morzine Avoriaz. Whether it’s a famly affair or a trip with friends, it really is a magical time to be in the mountains. Morzine plays host to a full schedule of exciting in-resort events from Santa visiting and magic wand making workshops for the kids, ESF torchlit descent of the Pleney slopes, fireworks, apres events and so much more! You’ll be sure to find something for all the family. 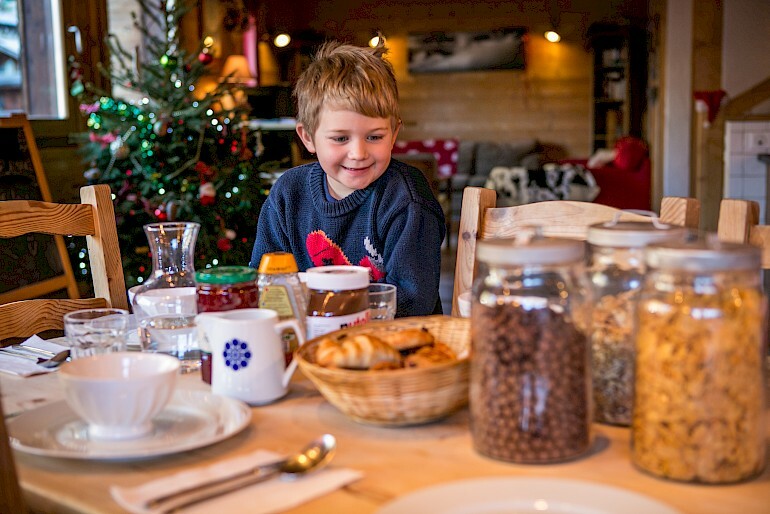 Your chalet hosts and hotel staff are there to look after you, so you can kick back and enjoy a delicious Christmas dinner with all the trimmings without the mountain of washing up! 3. Avoid the hustle and bustle of home. As much as everyone loves Christmas, one thing that most of us hate is the hectic Christmas build up. Why would you want to run round the shops for those last minute presents, fight over the last turkey in Morrisons and freak out because you forgot a distant relative was coming to stay. Instead come and relax while coasting through the mountains on your skis or board in the lead up to Christmas……it’s a no brainer really! 4. Slide around on Christmas and New Years day! 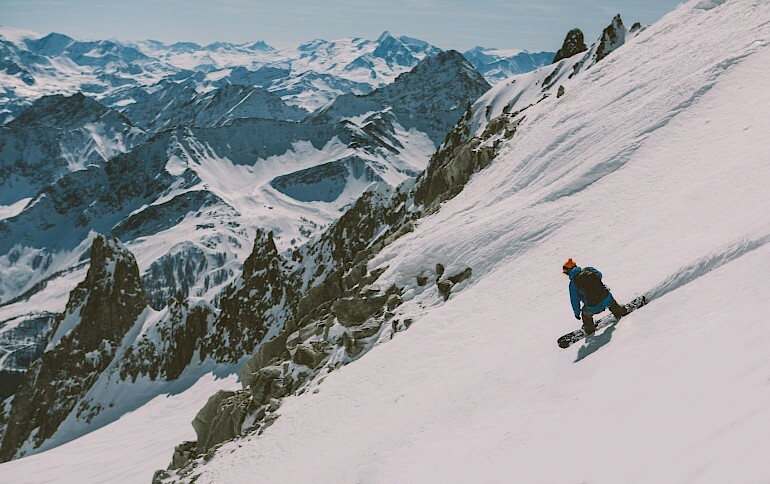 Most people go for a family walk – you can go for a family ski or board! Get up on the slopes for some crisp mountain air, get the legs firing and then sit in the sunshine with a vin chaud. Get up on the slopes in the morning and you can happily stuff yourself without guilt and truly say you’ve earnt that Christmas dinner! 6. Chance of waking up to a white Christmas! Picture this – you wake up, draw the curtains back and a blanket of white stuff is covering the valley. Do you get any more magical that? ..and don’t forget a white Christmas means one thing – FRESH TRACKS! 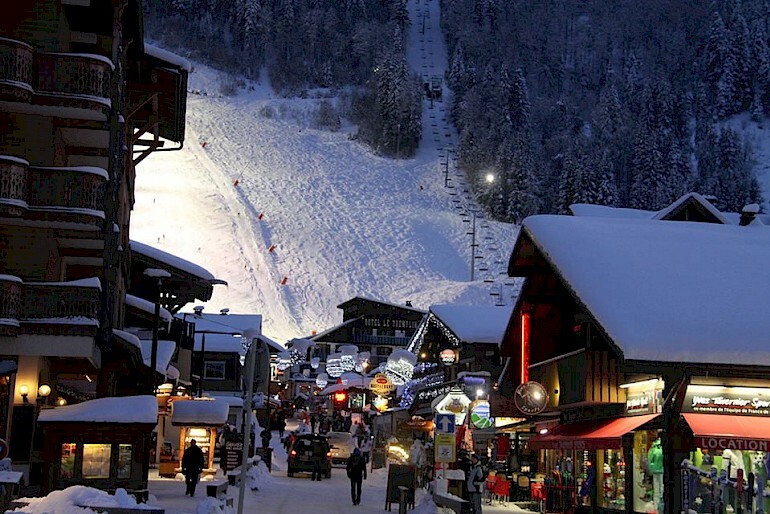 The Alps are renowned for putting on great parties over the holidays, and Morzine is no different! With all sorts of events and festivities happening in town, there’s plenty of scope for a good old knees up at a variety of venues, whatever your jam, from apres to late nights. They say memories make better presents than material gifts; and we couldn’t agree more. It doesn’t get more special than spending some quality time with the ones we love in the beautiful French Alps over the festive season. So come and make you’re own magical memories that last a lifetime, not just for Christmas! We would love to share the festive season with you! We’ve got limited rooms left for the festive period so get in touch now to book your holiday of a lifetime. Previous: WIN a weeks stay in Hotel L’aubergade!